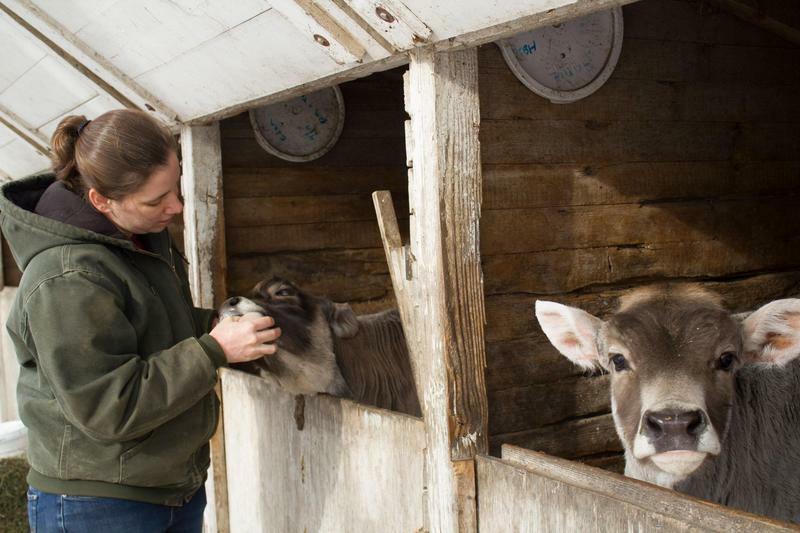 Sarah Gilbert checks on one of her calves at her dairy farm in Hardin County, Iowa. In the coming months, Congress will map out how it’ll spend upwards of $500 billion on food and farm programs over the next five years. The massive piece of legislation known as the farm bill affects all taxpayers — whether they know it or not — and runs the gamut from farm safety net and conservation programs to food stamps and loan guarantees for rural hospitals. Since the bill hasn’t been introduced yet, now is the time when interest groups, farmers and others clamor to ensure their desires will be heard. One of those people is Sarah Gilbert, a dairy farmer in Hardin County, Iowa. In November, she went to Washington, D.C., to lobby for the conservation stewardship and environmental quality incentives programs — both of which deal with land that’s in production. She also advocated for the beginning farmer and rancher development programs, as she and her husband benefited from mentoring when they were starting out, and, more recently, offered a work opportunity to a newer farmer who under their tutelage learned equipment repair and animal handling. Gilbert says when she walked through the metal detectors and into Congressional buildings, she looked around at all the other people who’d come to meet with elected officials and staffers. She remembers feeling both intimidated and inspired, and it dawned on her that everyone else was there to ask for something, too. 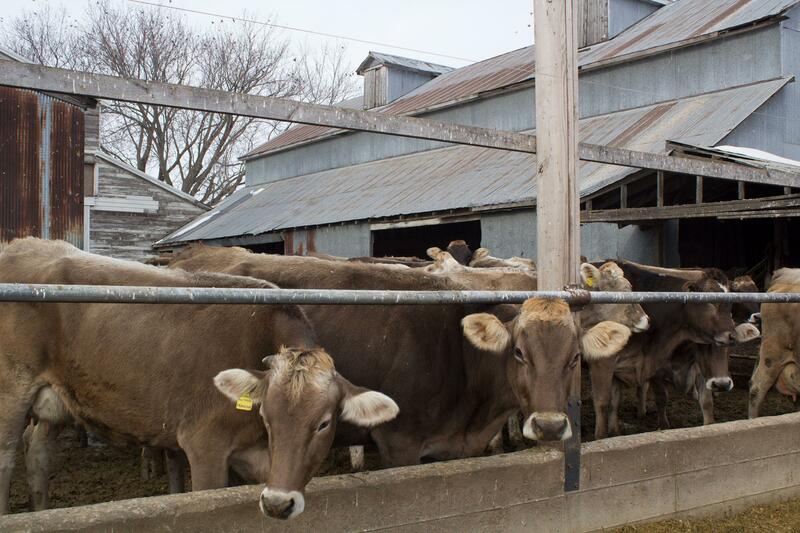 Sarah Gilbert, her husband and his parents milk 54 Brown Swiss cows and plant 800 acres in corn and soybeans to feed the cattle. They also have a small herd of hogs. It’s not just farmers who care about the bill, Gilbert says. That’s because everybody eats, and the programs can affect food prices and availability, fund local food and farmers market projects and, especially, assist those who need federal help to put food on the table. About 80 percent of farm bill dollars go to the Supplemental Nutrition Assistance Program, or SNAP. Indeed, the phrase “farm bill” is a convenient shorthand for the law, which authorizes most of what the U.S. Department of Agriculture does. Historically, nutrition and agriculture programs have been paired for several reasons, including securing urban lawmakers’ votes for traditional farm supports. 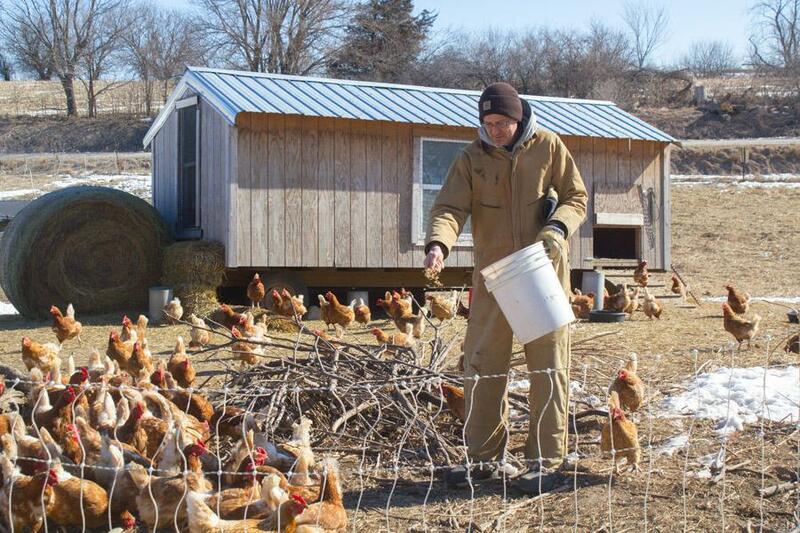 Matt Russell feeds chickens in 2015 on his Iowa farm, which benefits from some of the programs in the farm bill. Central Iowa farmer Matt Russell sees the farm bill also as a deal between farmers and other taxpayers throughout the U.S. He uses himself as an example: His farm, Coyote Run, made it through a drought with help from a farm bill disaster relief payment — a component of the farm bill. In return, Russell makes land-use decisions that help clean up water far downstream from where he lives. When a family in need gets SNAP benefits, Russell knows that’s his tax dollars at work. This is a time of change within the USDA, which employs about 90,000 people and gets about 80 percent of its funding from the farm bill. Russell is concerned about what the restructuring happening within the agency will do to staffing levels and available money; he served eight years on the state Farm Service Agency committee, a politically appointed panel that helps connect farmers to USDA. “I have some real concerns that, both with budget and with reorganization, that this administration is potentially looking to downsize those supports for farmers,” Russell says, referencing his Obama-era appointment that extended through the end of 2017. Agriculture Secretary Sonny Perdue has shifted some of the top posts at USDA, and many remain empty. Chris Clayton, ag policy editor at media outlet DTN/The Progressive Farmer, says that’s consistent with a department focused on becoming leaner. 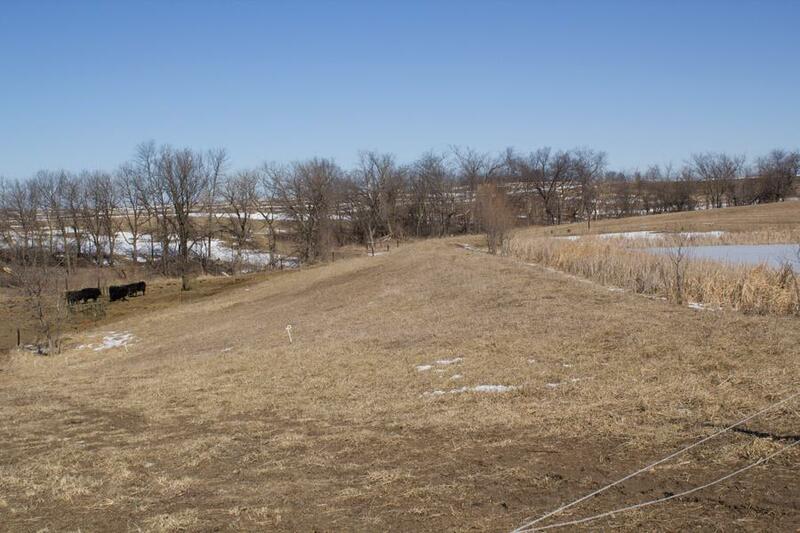 Matt Russell considers the environmental impacts downstream and also conservation requirements of the federal farm programs when he makes land management decisions at his Coyote Run Farm. But President Trump’s administration hasn’t been quiet about what it says is its commitment to farmers. The Republican even spoke at the American Farm Bureau Federation annual convention about crop insurance — a controversial safety-net program for farmers. In his budget proposal in May, Trump has suggested caps to crop insurance subsidies, which Congress would have to write into the farm bill. The current farm bill expires in September, but there’s a long history of extensions and delays when working with the next one: What was meant to be the 2012 farm bill didn’t become law until 2014. That has some farm-policy experts like Clayton suggesting that the legislation at hand could wind up being the 2020 farm bill. Amy Mayer is a Harvest Public Media reporter based in Ames, Iowa. You can reach her on Twitter: @AgAmyinAmes.